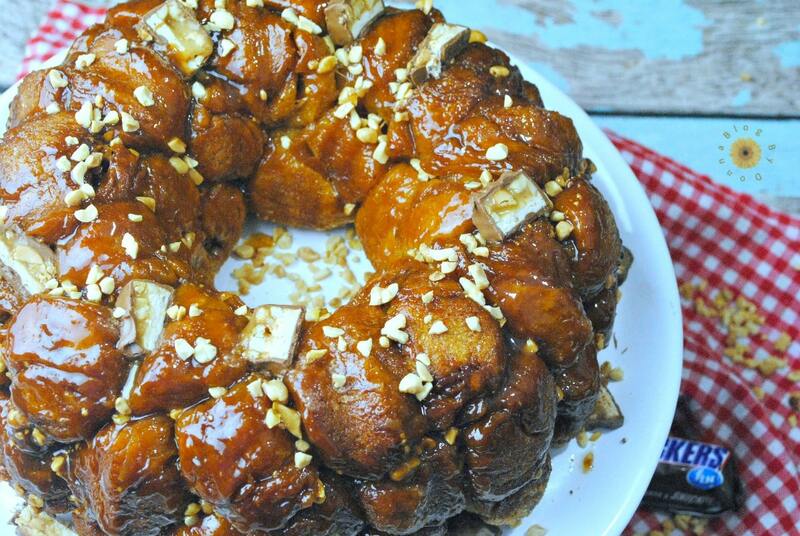 Snickers Monkey Bread is an easy dessert that will satisfy anyone’s sweet tooth. It’s full of ooey gooey goodness. 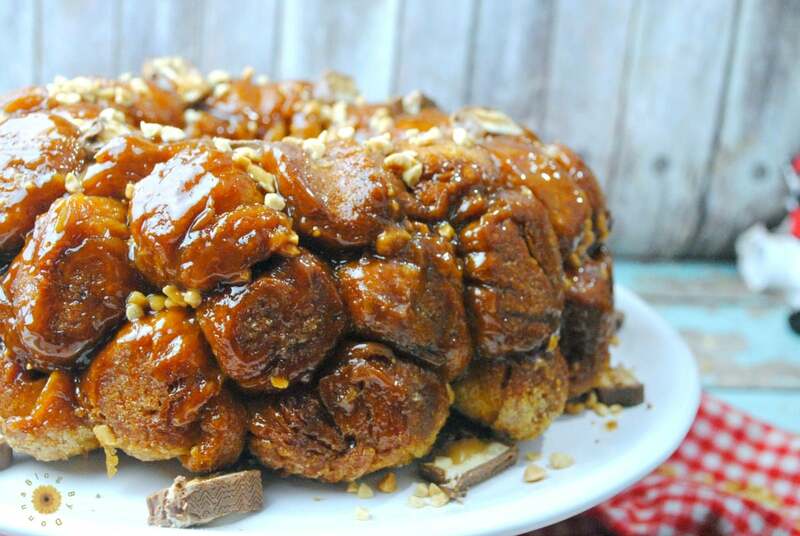 As much as I love the Snickers Monkey Bread and think you will, as well, you have to try my Maple Bacon Monkey Bread, too. It’s the perfect blend of sweet and savory. Did you know that onkey bread refers to it being a finger food dessert? If you never made it before, it’s really easy and a fun dessert to make. Spray a bundt pan with non-stick cooking spray heavily, and set aside. Combine cinnamon, brown sugar, and sugar in a large Ziploc bag. 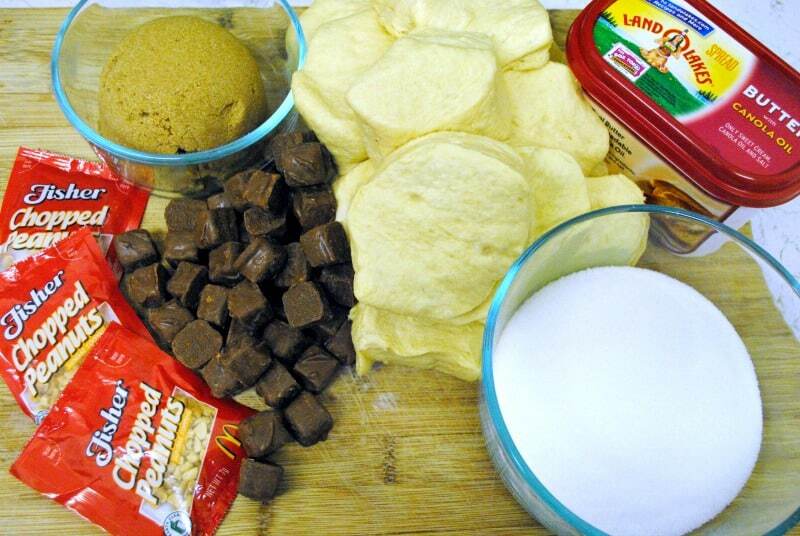 Place 1/2 a Snickers in the center of each piece of biscuit dough and roll each one into a ball. 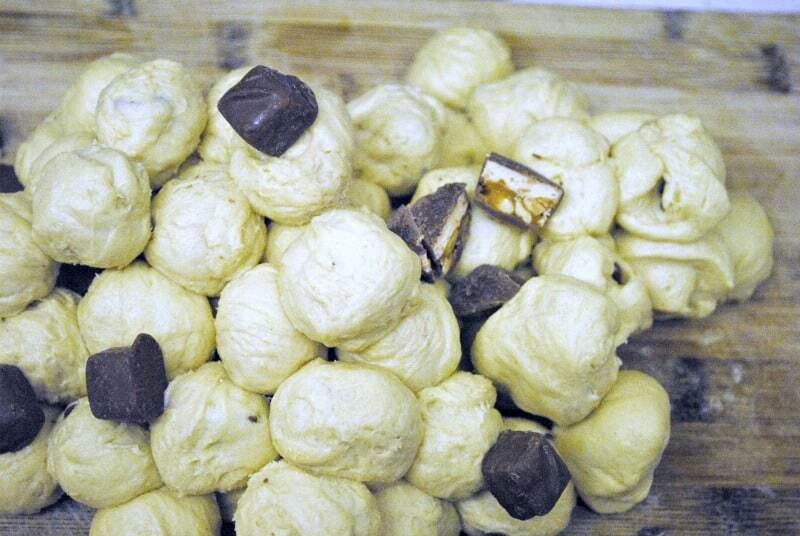 Place 8-10 dough balls into the Ziploc bag and shake until all dough is coated with the sugar mix. Repeat until all of the pieces of dough are coated. Now begin placing the dough balls in the bundt pan evenly spreading them out. 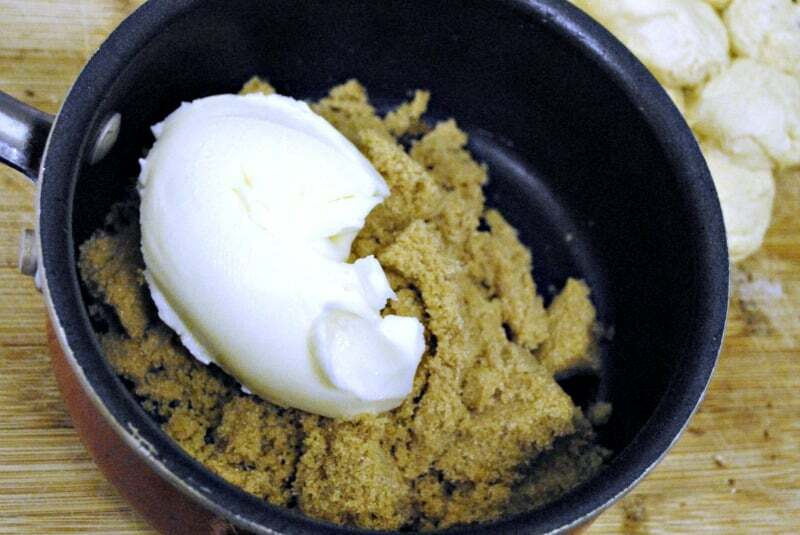 In a small saucepan, melt the butter and brown sugar until the sugar is dissolved. Stirring often. Pour over the dough balls in your bundt pan. Bake for 25 – 30 minutes, until golden brown and no longer doughy in the center. 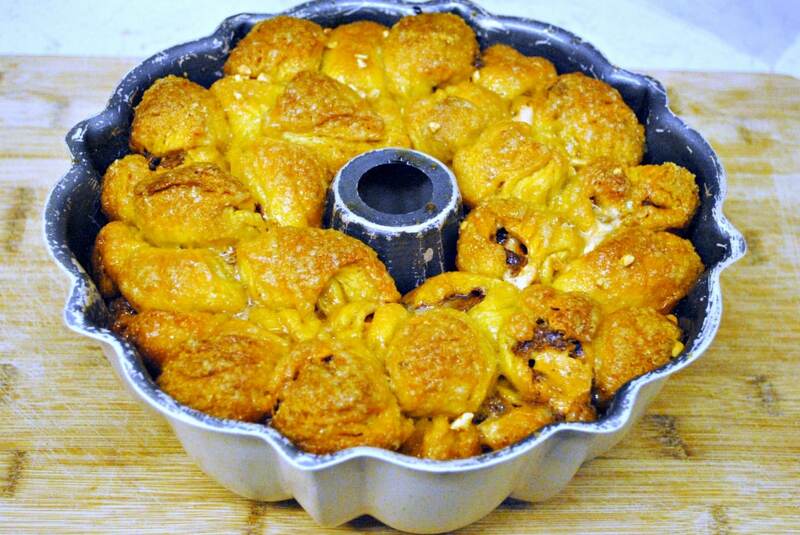 Top off with Snickers pieces and peanuts; pull apart to serve. Serve warm. 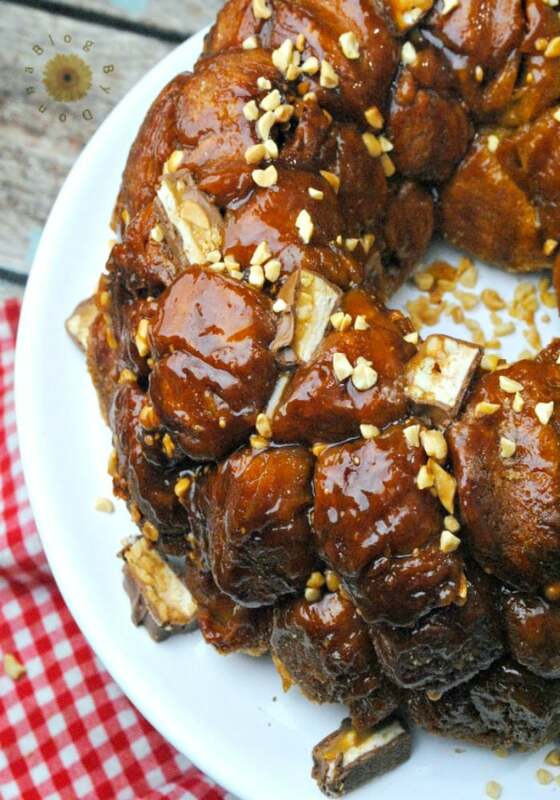 If you love gooey confections like, warm donuts and sweet cinnamon rolls, monkey bread is worth making. I hope you’ll give this sweet dessert bread a try. And if you don’t care for Snickers, try it with another candy bar. Just play around with different candy bars.